The Federal Open Market Committee (FOMC or Fed) left the target for the federal funds rate unchanged at a range of 2.25 to 2.50 percent, as was widely expected. The news in the March 2019 meeting came on two other fronts. 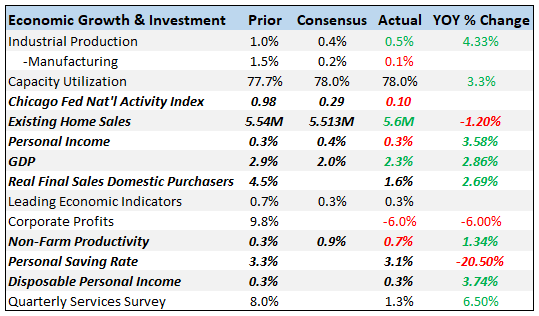 First, the projection for economic growth was marked down slightly, suggesting that the Fed has less reason to tighten further. Indeed, the median projection for the federal funds rate shows no rate increase this year and an increase of only 0.25 percent next year. Second, the FOMC announced that it will begin to slow the pace of running down its balance sheet in May, and it will stabilize the balance sheet by September, a bit earlier than expected. Both of these announcements imply a slightly easier stance of monetary policy over the next two years than markets had expected prior to the meeting. The Fed’s projections that inflation will be constant while unemployment is below its equilibrium rate continuously over the next three years have been a longstanding puzzle. The projections seem to contradict the Fed staff’s primary models of inflation that are based on the Phillips curve, which predicts that unemployment below equilibrium should cause inflation to rise. The March projections continue to show a constant inflation rate at its target of 2 percent. But the unemployment rate was marked up a bit and the equilibrium, or “longer-run,” unemployment was edged down, implying a smaller gap between the two, and thus less of a puzzle. At the press conference after the meeting, Fed chair Jerome Powell acknowledged that the next big decision the FOMC would consider is what maturity of Treasury securities to buy after the balance sheet is stabilized. Currently the Fed is buying only long-term securities, a holdover from the days of quantitative easing (QE) when the Fed actively sought to ease monetary policy by buying large amounts of long-term bonds. It seems likely that the Fed will shift to buying a range of maturities, but the exact breakdown has not been decided. During the press conference, Powell denied that the maturity of the balance sheet is a separate instrument of monetary policy. But this denial stands in contrast to the whole purpose of QE, which was to create a separate policy instrument by increasing the size and maturity of the Fed’s balance sheet at a time when the traditional instrument, the short-term policy interest rate, was pinned at the zero bound. It seems likely that what Powell meant to say was that the FOMC does not plan to use the balance sheet or its maturity distribution on a meeting-by-meeting basis, as long as the short-term policy rate can be moved up or down. My recent Policy Brief with Brian Sack supports the use of the short-term interest rate as the primary policy tool whenever it is not constrained by the zero lower bound. International macroeconomist at the Peterson Institute for International Economics. Formerly worked at the Federal Reserve Board and US Treasury.